[Editor’s note: I have updated my Calendar script to version 5. It now automatically formats the text with tab stops, date box grid, and art placeholders. Tooltips help explain the options and the script will automatically create a document if one is not open. Over 25 new features, updates, and bug fixes. Screenshots and native Illustrator template files included at end of post. I was asked recently if I could automate the creation of calendars in Adobe Illustrator. It turns out there are a couple script for accomplishing this in InDesign (best is from sselberg), but only pre-built templates for Illustrator. If you need a new year, you’d have to search for a new template, which is lame. New script to the rescue! Thanks go to Joyce for this suggestion. NOTE: The script is free to download and use. There is no license fee for publication of calendars based on the script. I reserve the right in the future to start charging a fee for the script. But this version is free. Download version 5 of Calendar Script (100 k). Download the binary file using “Save as”. The file contents look like gobly-gook. NOTE: You will need version CS3 or CS4 of Illustrator. If you have CS or CS2, get a trial version of CS4 from Adobe. Also see posts about version 3 and version 4 of the Calendar script. NEW: Tab stops supported!!! Date numbers are automatically spaced over the correct distance Big thanks go to N at Adobe Developer Support on this one. NEW No longer requires an open document, one will be created for you in the right page size if necessary. NEW “help” tooltips on all the wizard options (thanks John!). Tooltips are only in English now, other languages in future update. NEW Wall calendar style has grid of date boxes. NEW Wall, page, and compact calendar styles has art hole (for placement of photos, etc). UPDATE Wall calendar type now auto-shrinks the text frame if a month has a short number of weeks. BUG FIX: Fail on selected text if it is point or path. Now creates new text frame at the same location. 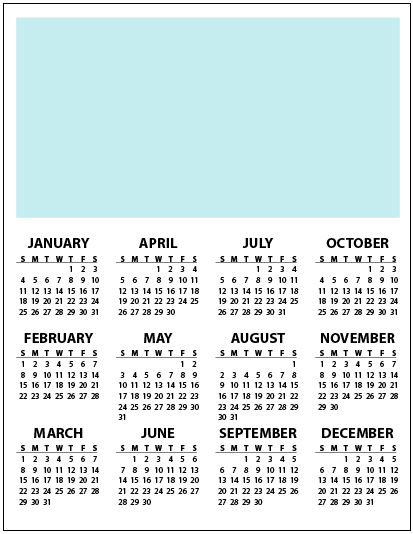 BUG: Page 12-up style calendar now the same size and style as a Page 1-up but with extra months (had been compact like). Expand or link the text frame to see additional content that is hidden at first. BUG: Abbreviation for “Jan” lacked the . period (thanks John). BUG: Custom language did not show the current settings for English (default) to edit. Now it does (disabled Holiday for now). BUG: Canceling “custom language” dialog now returns to previous language preset, not English. BUG: Enabling multi-month calendars via check box now works after choosing a single month calendar preset. Holidays and lunar phases are still not supported. Please stay tuned for version 6. What types of holidays do you want to see supported? Do you need iCal support? Add multi-lingual tooltips. Refine translation of main interface for supported languages. 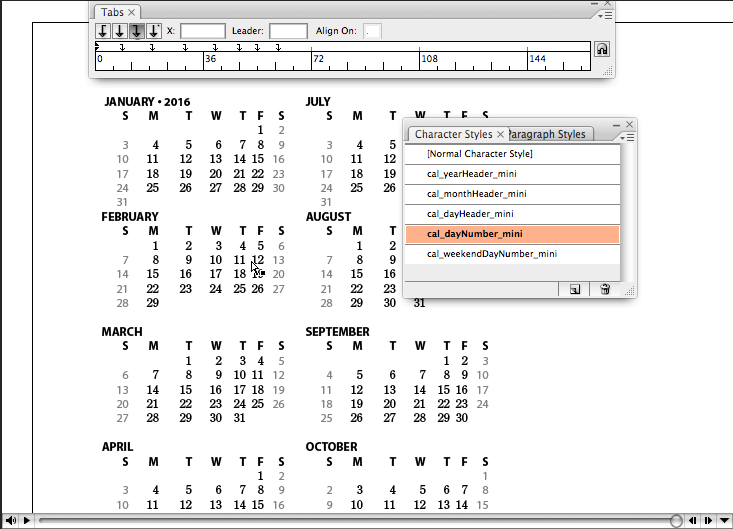 Automatically create and position the before-month and after-month mini-calendars. Any other suggestions? I’ll take a couple month breather and then return to this project. Screenshots showing English, German, and Chinese interfaces. Also the custom language settings dialog. 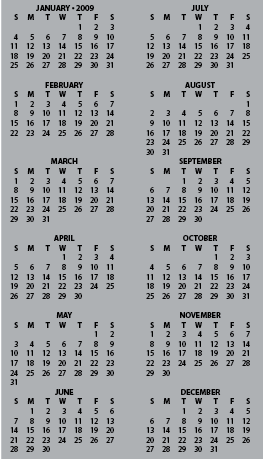 Tabloid calendar with larger date numbers grid (no boxes) on tabloid size 2/3rds of page. Tabloid mini 1 month that fits below the main calendar in 1/6th of tabloid size page (prior month, next month). 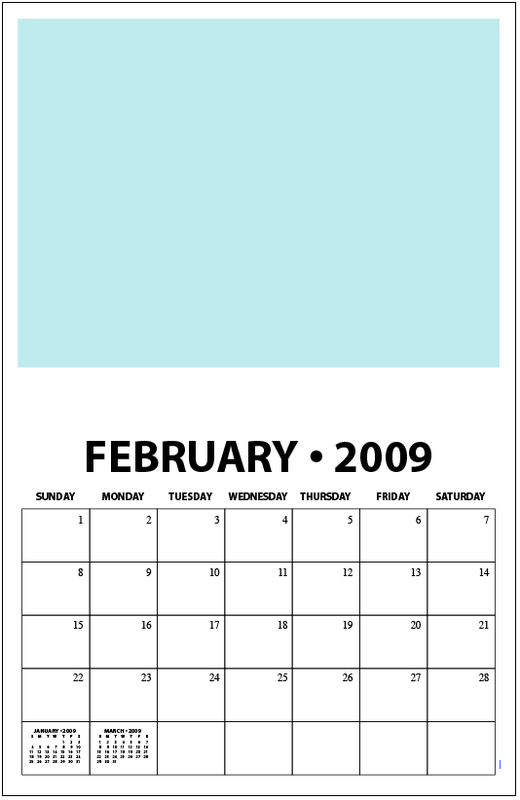 Wall calendar with smaller dates in box grid (boxed dates) on tabloid size half-page with room for half page of art (horizontal / landscape 8.5 x 11 inch page). Wall mini 1 month calendar that fits in a date square in a wall calendar (prior month, next month). Page calendar, larger dates fill grid (no boxes) on 8.5 x 11 inch page. 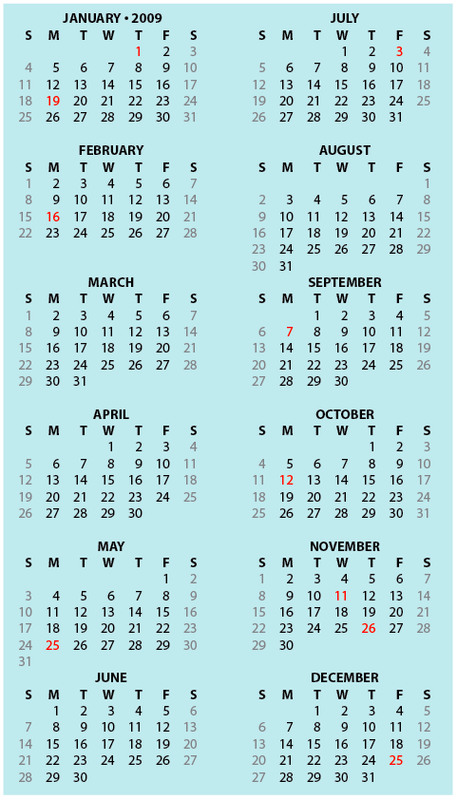 Page calendar, larger dates fill grid (no boxes) – 12 months at a time option. Page mini calendar, calendar that fits in a date square in a page calendar (prior month, next month). 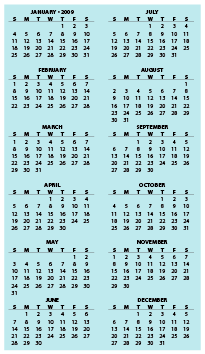 Compact calendar, 12 months small enough to fit on a single 8.5 x 11 inch page with artwork. Mini calendar, 12 months small enough to fit on a business card. 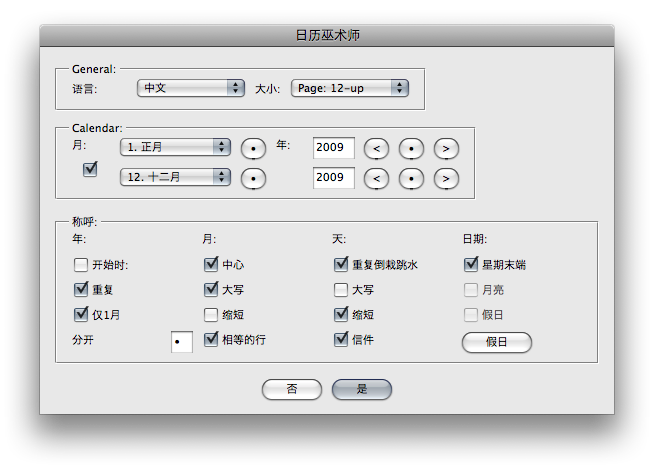 All calendars are Multi-lingual. Languages include English, Deutsch, Español, Français, 中文, 日本語, русский язык, and custom. This affects both the graphical dialog for creating the calendars and the month and day words in the calendar itself when it is created. 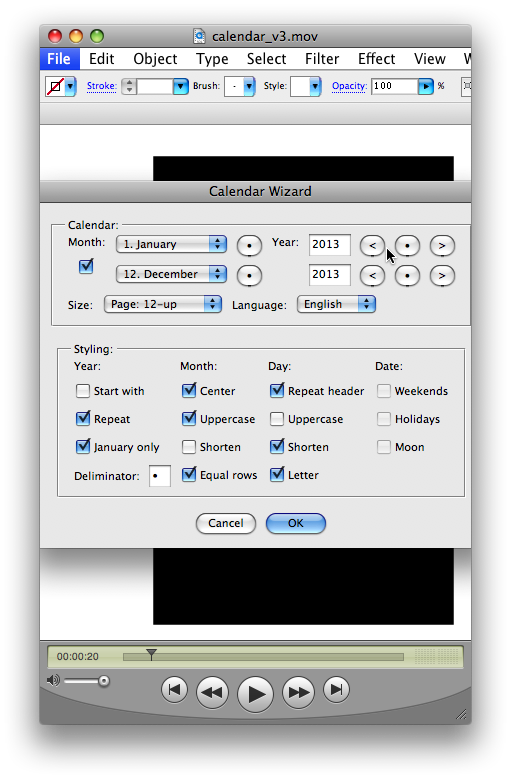 NOTE: While character and paragraph styles are created for each style of calendar (you can have multiple calendar types in one document), there is an error with Adobe Illustrator where you do not actually see this script-created styles until you either (a) save the document – thanks JC, or (b) switch back to the document from another (open or new) document. 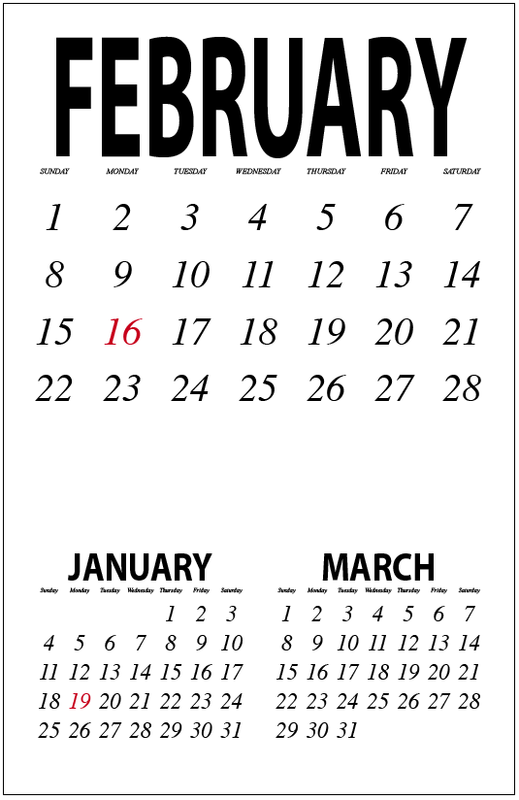 [Editor’s note: I have updated my Calendar script to version 5 on 17 February 2009. Magicien de calendrier, Kalender-Zauberer, Mago del calendario, 日历巫术师, カレンダーの魔法使い, Чудодей календара. Get version 5 and read more about the changes and see new templates. Download version 4 of Calendar Script (71k). NOTE: You will need version CS3 or CS4 of Illustrator. If you have CS or CS2, get a trial version of CS4 from Adobe. Also see post about version 3 of the Calendar script. Multi-lingual: Languages added for English, Deutsch, Español, Français, 中文, 日本語’, русский язык, and custom. This affects both the graphical dialog for creating the calendars and the month and day words in the calendar itself when it is created. No longer need to have text frame selected, one will be created for you. If a text frame IS selected, it will be used. Added ability to easily stylize weekend (Saturday and Sunday) dates numbers (eg gray or red). Equal row spacing between months checkbox now works. Buttons for current year and month now work. I’m waiting on Adobe to let me know how to do the tab stops. In the meantime I’ve created a better video showing how to set these manually yourself (below) and change the character styles after the calendar is created. Holidays and lunar phases are still not supported. Please stay tuned for version 5. 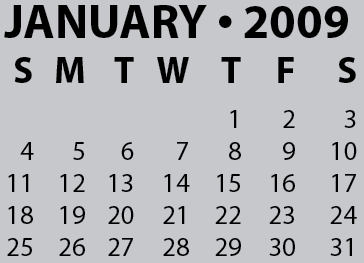 Wall calendar with smaller dates in box grid (you add the boxes). Page calendar, larger dates fill grid (no boxes). 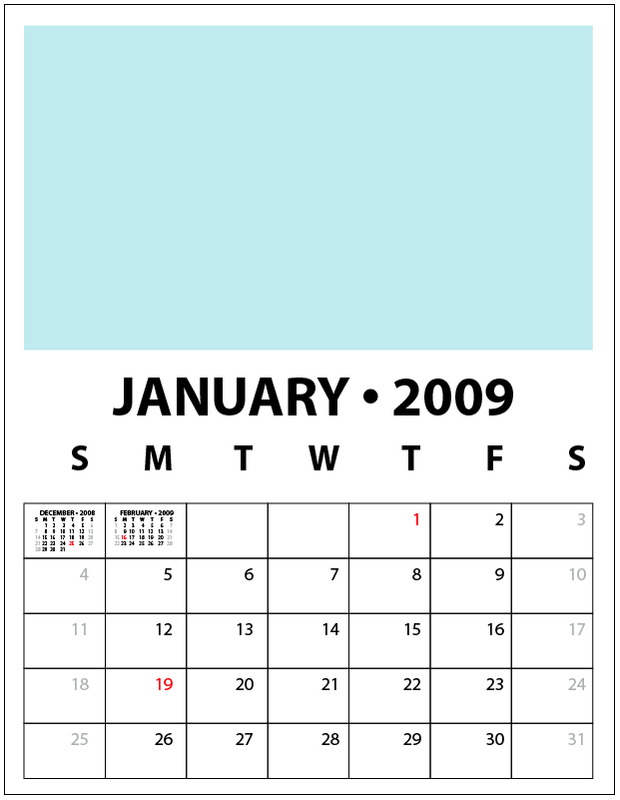 Traditional wall calendar with boxed dates and mini calendars for prior and next month, room above for a photo or illustration (January 2009). You make your own grid and the two wall mini months. Download editable Illustrator file. Page calendar where dates fill entire box (no lines). You make your own wall mini calendars. Download editable Illustrator file. Mini 12 month calendar sized to fit on business card with all 12 months of the year (shown larger than life below). Download editable Illustrator file. No, the script does not create the above calendar. Check out thumbcalendar.com. Download version 3 of Calendar Script (33k). You will need version CS3 or CS4 of Illustrator. 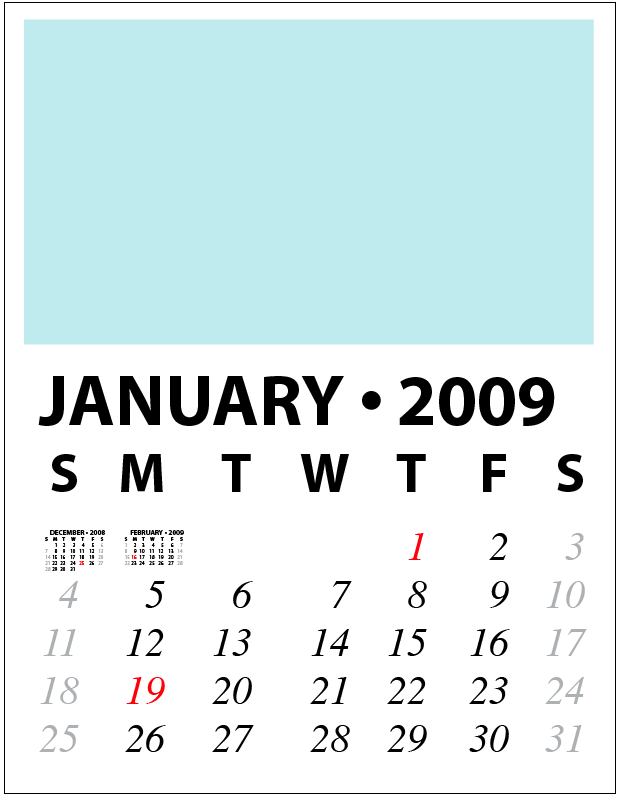 Download Adobe Illustrator CS2 version of 2009 calendar. Use the script to build out the rest of the months. 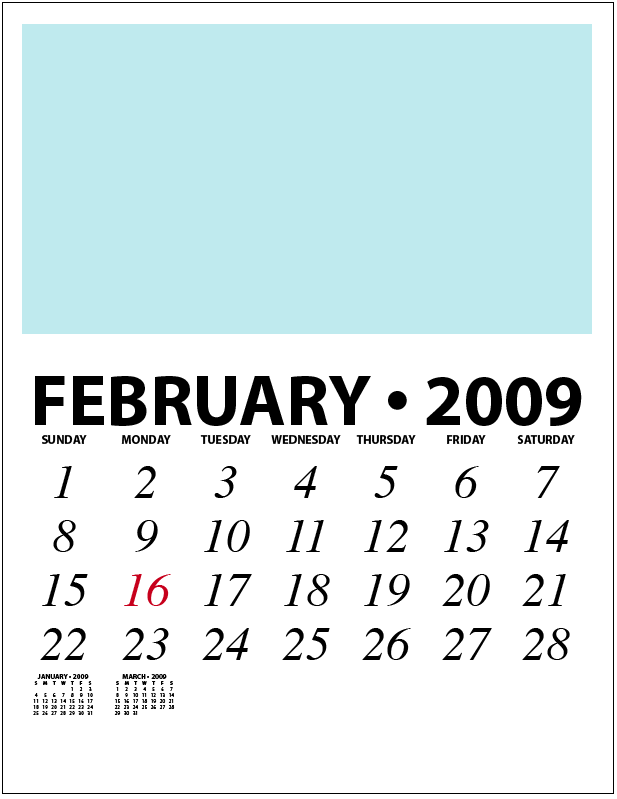 Wall calendar, large format boxed dates, 1 month fits on a page, sequential pages. Page calendar, 12 months fit on a letter sized page. Mini 1 month calendar that fits in a date square in a wall calendar. Illustrator lacks tables, so we have to rely on tabs and other text-only options. If you want tables, use the InDesign script mentioned above. Start week on Monday or Sunday? Create single month, full year, or range of months / years. Use of tab stops. Now you have to redefine the paragraph style for the dayTabs. The • buttons for month and year are not working. They should take you to the current month / year.